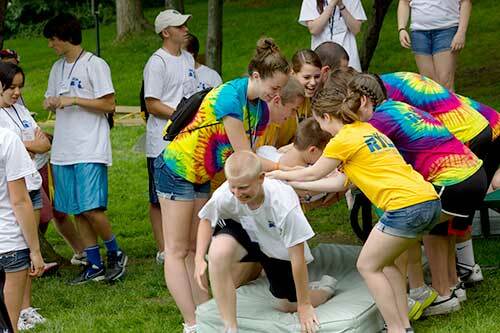 See the About RYLA page for general program description, and info about how to apply for RYLA. The RYLA 7910 Conference is presented by Rotary District 7910. This is not a function of Fitchburg State University. Attendees MUST commit to attending the entire conference from 9 AM Friday morning until Sunday evening at 5 PM. NO EXCEPTIONS can be made. If a participant discovers they will not be able to attend ALL 3 DAYS of RYLA, they should contact their Sponsoring Rotary Club. If the sponsor club cannot be reached, contact the RYLA Registrar. A timely call will allow an alternate to attend in your place. Your sponsoring Rotary Club has paid for someone to attend, and every participant is important to the program. In the weeks leading up to RYLA, participants and parents who have registered will receive a series of emails with reminders and information about RYLA. Most of that information is also on this website. Participants will also be contacted directly by their RYLA Group Facilitator. See the Students & Parents FAQ page for the answer to this, and other Frequently Asked Questions. APPLICATION: Deadline varies; usually Feb or March. Deadline for application is specified by the sponsoring Rotary Club. Ask your local Rotary Club or Guidance Counselor for the deadline date. Application form may be submitted to your school, or your local Rotary Club - it should be indicated on the application. If you are selected to attend RYLA, you will be notified by your sponsoring Rotary Club. At that time, you will be asked to "register". DO NOT DELAY! It's best to do this as soon as possible after you receive notification that you were selected. After you register online, your will get an email with the "Paperwork". Student and Parent/Guardian must sign the Paperwork and give it to your sponsoring Rotary Club. This will allow adequate time for your papers be reviewed by the Rotary Club RYLA Chair, who will then forward them to the RYLA Registrar. The RYLA Conference is held annually during the last weekend in June, on a Friday, Saturday, and Sunday. 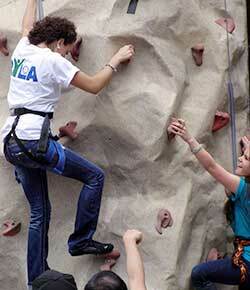 Students participating in RYLA should plan to arrive at RYLA on Friday between 8:30 AM and 9:30 AM. It is very important NOT TO BE LATE, because activities begin immediately after check-in. Transportation: Although many RYLA students choose to be driven to and from the conference by a family member, the Rotary Club that sponsored their attendance is prepared to assist with transportation if necessary. Please contact sponsoring Rotary Club if needed. PARTICIPANTS ARE NOT ALLOWED TO HAVE A VEHICLE ON CAMPUS DURING THE CONFERENCE. Please refer to the Gear List page. Parents and family are invited to the Closing Ceremonies on Sunday afternoon. Allergy and Health Information: We recognize that some students have allergies and special food requirements. Students’ allergy and health information should have been entered on their registration forms. All RYLAns carry that information discreetly in their name badges. The students are instructed to always wear their name badges. In addition, the RYLA information desk and Directors have access to full registration data. Nutrition: The University's cafeteria menu is very diverse, with many healthy options. Students may speak with the staff when they arrive at RYLA, or if they would like to speak with someone in advance you can call the University main number and ask for food services. 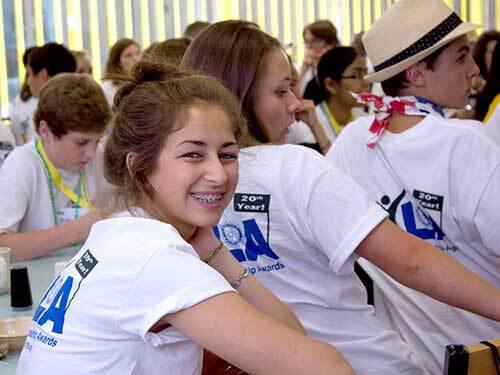 Photos, Videos & Audio Notice All parents and students should note that photographs, video and audio recordings may be taken at any time during the RYLA weekend by other participants in RYLA, as well as by Rotarians assisting in the weekend activities. While RYLA cannot control how images and recordings taken by others will be used, RYLA will not use any of the images or recordings for commercial purposes, but may use them to promote RYLA, Rotary International, and/or the clubs sponsoring and participating in RYLA. Participation in RYLA and other Rotary events includes your consent for these entities to use, publish, and broadcast your name and likeness and material derived therefrom without compensation. If you have further questions: We strongly encourage questions from the RYLAns! … PARENTS: we recommend that you allow your students to grow and prosper by suggesting that they practice their communications skills. After RYLA, students are highly encouraged to write a Thank You note to their sponsoring Rotary Club and to the RYLA committee. See the Contact Us page for where to send thank-you's. There will be free parking in lot 8 or 9, across the street from the Auditorium. Parents, guardians and extended family are invited to the RYLA Awards Ceremony. Afterward, parents/guardians will go to the dorms to collect the student’s belongings. The Closing Ceremony is an important part of RYLA. Parent/Guardian attendance is highly encouraged!